O Santa! Thank you for your patience, as Rerun could not stop with the stiff fake grin until take #5. This was the best of all 4 kids. 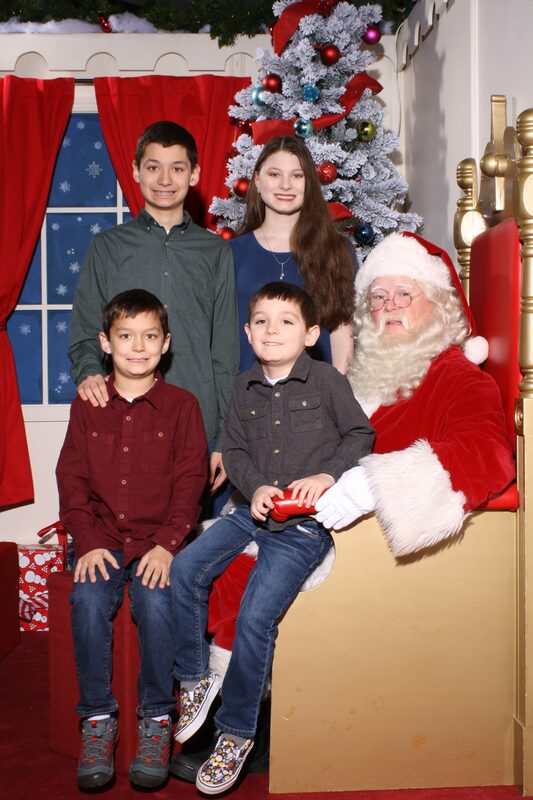 Once we were done, we dashed off to art class, dropped Tad off, then went out for post-Santa picture pizza nearby. We saved Tad plenty of leftovers. This entry was posted on Tuesday, December 4th, 2018 at 12:20 am	and is filed under Children, Holidays.